Once the water flow has been stopped, the real work begins. After the water has been removed from the affected area and it has been dried with our high velocity fans, we can begin assessing the damage and restoring the affected property. 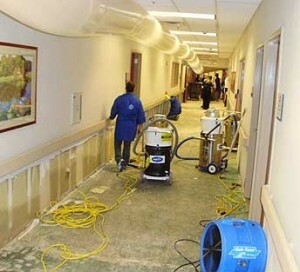 Done Right Carpet Restoration Inc. 20 years in the industry has made it the leader in water damage restoration. Having been there many times before we know where and how to look for damage. Our first goal is to avert serious health problems that can be caused by mold, mildew, fungus or contaminated water. We make sure there is no lingering odor or telltale marks that can significantly reduce the value of a property. We are more than happy to deal with your insurance carrier and strive to make our services and assistance fit your budget. Water damage never comes at a convenient time! But when it does, Done Right Carpet Restoration Inc. is there to stand at your side and make certain you and your family and safe and your home or building is restored like new!